When you are redecorating your bathroom, one of the first things on your mind is on the tiles that you are going to use to decorate it. You can use tiles on the wall and on the floor, though floor tiling is usually most common. Floor tiles are generally significantly larger than wall tiles, which can be as small as one square inch in area. No matter how simple or fancy your tile, what you are actually looking for is something strong and durable, which will last you a good, long time. Choosing the cut, size and material for your bathroom is not always easy with so many choices available, but we are here to help you. When deciding on your tile, ask yourself three questions: where the tile will be place, exactly what your budget is like, and how often the tile will be in use. You can narrow down the size and material of your tile by deciding on where you are going to use it. For example, if you are going to put it on a splashback (that is, the panel behind the sink to protect your wall from water damage), or the counter, the floor or the walls. The most common materials for floors and counters are porcelain and ceramic tiles, though stone tiles are also used. These days, cement look tiles have also become quite popular for the floor area. For the splashback area, glass tiles are ideal. Tiles on the floor of the shower cubicle should have some kind of a ceramic mosaic finish. This is so that you get a good solid grip, because obviously, the inside of your shower can be quite slippery. The bathroom wall tiles which are easiest to clean are glass tiles, which also have the added advantage of being easily recyclable and offer you a lot of variety. Different types of tiles have different price ranges. This list will give you an average price list for common tile materials per square foot. Note that this list does not take installation charges into account. $2-$20: Within this range, you can get ceramic tiles. $3-$25: If you are looking for porcelain tiles (including cement look tiles), this is the price range where you will find them. $7-$20: Natural stone (the most durable) can be bought per square foot at this range. $7-$30: This is usually the range in which you will get glass tiles. You can use any kind of tile that you like, but different materials just have different strengths and weaknesses. For example, while glass tiles are very easy to clean, they are not as durable and resistant to wear as slightly more hardy materials. You can make the best possible use of your budget by explaining to the store expert exactly where you are going to put the bathroom wall tiles you are buying. Rating: Class 1. This is for tiles in places where there is no foot traffic, such as walls. Rating: Class 2. This is applied to tiles where there is light traffic. 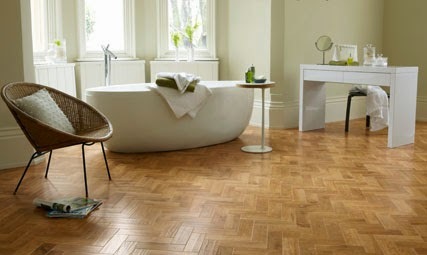 Such tiles can be used on the walls and bathroom floors. Rating: Class 3. Applied to tiles suitable for light to moderate traffic, you should use these tiles on countertops, floors and wall. Rating: Class 4. These can be used in any residential or commercial application as they are suitable for moderate to heavy traffic. Rating: Class 5. These are best suited to both residential and commercial/institution application because they are the most durable and suited to heavy to extra heavy traffic.